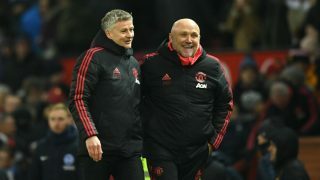 Fresh from a 2-1 victory over Everton, some questions were answered but a few big questions still remain about this Manchester United squad. News has come out this week from a few outlets including The Guardian that the board will give Jose Mourinho £100 million to spend in January, but what positions can he strengthen during the winter transfer window and feasibly who could United get to improve the team. So, I am going to look at who United could target in January to improve the team. Toby Alderweireld: Tottenham’s Belgian centre-half was heavily linked in the summer to a move to Manchester, as per the Metro, with a clause in his contract that could see him available for a relatively low fee comparable to other elite players in this position. Tottenham Chairman Daniel Levy may choose to take the money in January rather than lose an asset for less than his value. Alderweireld is Premier League proven and in my opinion one of the best defenders in the country. He would be a leader and give United a commanding presence at the back, Lindelof, Bailly and Smalling aren’t leaders and seem to be happy being a partner rather than taking charge. READ MORE: How many players has Jose Mourinho improved at Man Utd? Nikola Milenković: Fiorentina’s Serbian Defender is a new name to be added to the catalogue of players United are routinely linked with, according to The Sun. 21-year-old Milenković has broken into the Fiorentina First team since his move from Partizan Belgrade last season, he can play right back as well as centre back. He is a very physical player who gets into the tackles and is positionally very good, Mourinho himself has according to ESPN personally scouted him when playing for Serbia in the last International break. 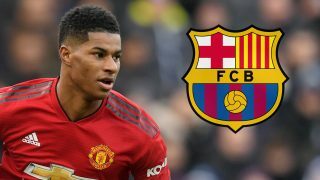 Potential downside is that he is a young player who is a little inexperienced and would be one for the future rather than a ready-made solution. He has become an international regular for Serbia including playing all 3 of their World Cup games in Russia. Fiorentina are resigned to losing their prize assets if a good offer comes in and with fierce rivals Juventus taking an interest in the defender, as per Calciomercato, it may be a case that they would rather sell abroad than to The Old Lady. Hirving Lozano: PSV’s Mexican Winger has been linked to United before he moved to Holland, as claimed by the Manchester Evening News, but he has thrived since he made the move to Europe. In his two seasons so far in Eindhoven he has scored 30 goals in 50 games, he scored the first in PSV’s 2-2 draw against Spurs in the Champions League last week and was the man Hugo Lloris brought down for his red card. His pace, direct play has brought a lot of attention to him since his move from Mexico, numerous top clubs are keeping tabs on him, with a scramble in the summer more than likely to happen but United could steal a march on all their rivals. Buying a player who fits into Mourinho’s style of play being an explosive pacey winger who is devastating in the transition. United would finally be balanced up front with him occupying the right side of attack, he is equally adept with both feet and creates goals as well as score them. He scored the winner in the 2018 World Cup group game for Mexico and Germany and played well in the tournament so a move sooner or later for big money is inevitable, but United fans will be hoping he is more Van Nistelrooy than Depay in terms of his impact on the club. Nicolas Pépé: A relatively new name being linked by outlets such as talkSPORT but he is proving to be one of Ligue One’s most promising youngsters. Lille are 2nd in the league behind PSG and with him scoring 7 goals and assisting 4 he is a big reason behind their resurgence this season after the failed Marco Bielsa experiment last season. 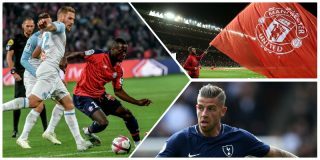 He is a right winger who is starring for Lille at the moment and United fans will be hoping he has similar success to Eden Hazard who United failed to sign from Lille under Sir Alex Ferguson, a story the Chelsea talisman explained to The Telegraph. One downside is that if Lille keep up this form they will be in the Champions League next season and they would be very reluctant to sell a prized asset unless a big offer were to come in. 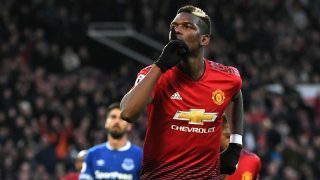 He has all the tools to be a top-class player, but he has been lacking in his defensive responsibilities and Mourinho could be the man to help him with that. 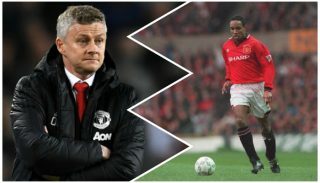 So those are the realistic transfers that could happen in January but United in the past have proved that they can surprise everyone with a shock transfer like Alexis Sanchez from Arsenal last year. So here are two transfers who are highly unlikely but not outside the realms of possibility. Aaron Ramsey: Arsenal player with an expiring contract who may be available to sign in January, no we haven’t travelled back in time to last January for Alexis Sanchez. This is Welsh Midfielder Aaron Ramsey and his ongoing contract dispute has alerted a number of clubs to a possible deal in January and a possible free transfer in the summer. Ramsey has been left puzzled by his situation, as per The Guardian. Now I know what a lot of you will be thinking and that is he is not what we need, and I do agree. The board will jump at this chance surely as they will be thinking of which instrument he can play in his announcement video. But he could be an upgrade on Juan Mata and give United a spark in breaking down stubborn defences. I doubt he will come to United but stranger things have happened. Ousmane Dembélé/Malcom: Barcelona have bought two talented wingers in the past two summer windows but one of or possibly both could be leaving sooner rather than later. The Independent ran a story on how Malcom was due to sign for Roma until Barcelona hijacked the deal at the 11th hour. He has showed flashes of his undoubted talent but is way down the pecking order and reduced to Cup games and the odd sub appearance. If he is available, he would be a good player for any top team as he had a lot of big clubs queuing up when he was going to leave Bordeaux. Dembélé was a big purchase when he moved from Borussia Dortmund for €105million with €40m in reported add ons, as per the Irish Times. But he has failed to live up to his fee not that can be put down to injury and playing in a similar position to Lionel Messi, so he could be in a position where he wants a change of scenery, be it a loan deal for game time or a fresh challenge. He would be a massive signing for United, but they would have to unload one of Anthony Martial or Alexis Sanchez to make room for the fee and wages. The Hierarchy would love a young talented, marketable talent so they would provide money to sign him, but would he suit Jose though? 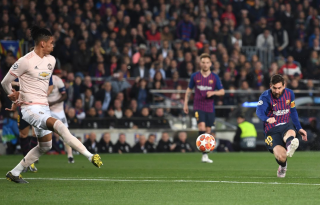 If one of the two were to come on the market, then Malcom would be the player to target but fortune favours the brave as they say and that would be the case for Dembélé.